Built in 2003, it is situated in the ruins of ‘Jiangning Imperial Silk Manufacturing’ from the Qing Dynasty (over 260 years ago), which was a government-run institution specializing in the manufacture of silk fabrics for the exclusive usage of royal families and officials. The ruins contained a residence and government office of supervisor officials and a weaving factory producing silk fabrics. It was also the temporary royal dwelling palace in the Qing Dynasty. 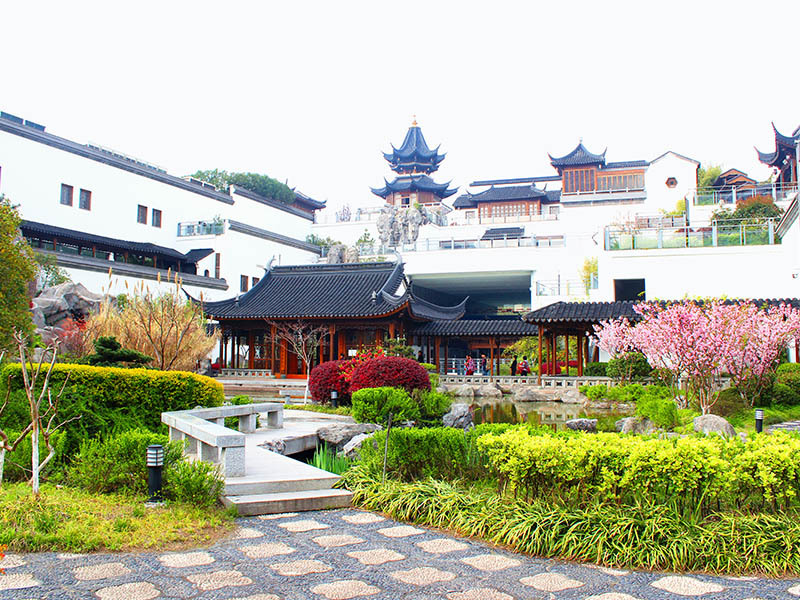 A very famous Chinese novel writer Mr. Cao Xueqing was born and lived here during his childhood as well when his family managed the manufacturing institution for nearly 60 years. The newly built museum covers an area of 1.87 hectares. History of the ruins and products made by imperial silk as well as stories of Cao’s family and his great novel are exhibited via new technologies in a creative way. Standing on the bridge in the courtyard and facing north, you can catch the best view. Every day at 10:00am, 14:00pm, and 16:00pm, there is a fancy catwalk show with clothing made by imperial silk. You can try various Chinese Qipaos here via digital means. Once you choose your favorite type of Qipao, on-site masters can tailor make a fitted one for you to take back home. Metro Line 2 Daxinggong (大行宫) Station Exit 2. Right in front of you.